Manufacturing firms are expected to create, build and deliver superior quality products at a rapid pace and at the lowest possible costs to grab a substantial market share and win new customers while retaining old ones. The increasingly competitive landscape in the manufacturing field poses a tremendous challenge and there arises a need to excel in all processes involved in production, sales and distribution as efficiency and productivity become the core of optimization. Salesfundaa ERP for manufacturing can enhance all facets of their manufacturing processes – from sourcing and procurement to production, warehousing, quality testing, and delivery. Salesfundaa ERP for manufacturing help enhance collaboration, automation, and improve process tracking. Automating tasks demands standardization in process leading to improved efficiency and productivity. It significantly reduces the instances of errors and speeds up the overall production process. There is less dependency on humans and enterprise can adopt holistic human resource practices. The centralised disposition of a Salesfundaa ERP for manufacturing essentially enables every department to have complete visibility into designing, production status, quality control, inventory levels, and more. This enables seamless coordination. Thus streamlining the entire manufacturing process. When an outside stakeholder is falling short of inventory, he can use the ERP software to communicate the requirement to the sales team. Thus, Salesfundaa ERP for manufacturing allows department heads to effectively manage data from external parties and enables decision-making efforts. Deploying Salesfundaa ERP for manufacturing can cut costs by increasing worker productivity and minimising overtime and related labour expenses. Lower error rates in production floors and precision significantly reduce the scrap and rework that have a toll on financial resources. Enhanced inventory management and tracking of spare parts, and components combined with more accurate production, planning reduce the issue of excess inventory and warehousing costs. Advocation of transparency in financial aspects of production can help identify potential areas for savings and reduce the cost of goods sold. On-time delivery of products is deemed a critical performance metric for today’s manufacturers. It is critical to maintaining customer satisfaction. Decision makers can rely on real-time data for realistic view of inventory levels at any time. 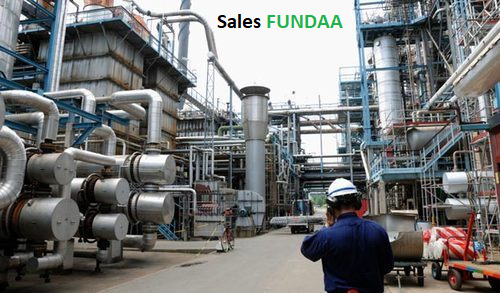 Call Salesfundaa CRM on 9235 35 35 35 for a free consultation of the Salesfundaa ERP for manufacturing today.